A real five day trail ride staying overnight at two guest houses and two country inns. Great riding on varied terrain with lots of route options. We all look forward to welcoming you on The Radnor Fforest Trail . . . Original Freerein Trail . . . 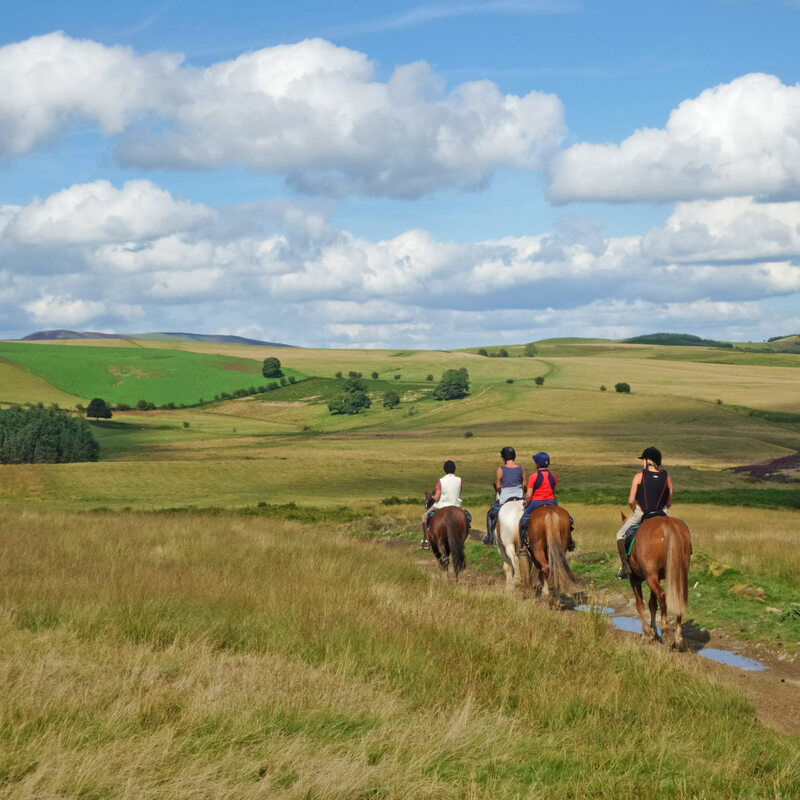 Originally offered to customers back in 1991, this original Freerein horse riding holiday is highly recommended. This legendary route has remained unchanged since, a couple of accommodation changes aside. Circumnavigating the Radnor Fforest over 5 days you’ll climb to over 2000ft, while taking in some of the finest horse terrain and scenery the Radnor Hills have to offer. 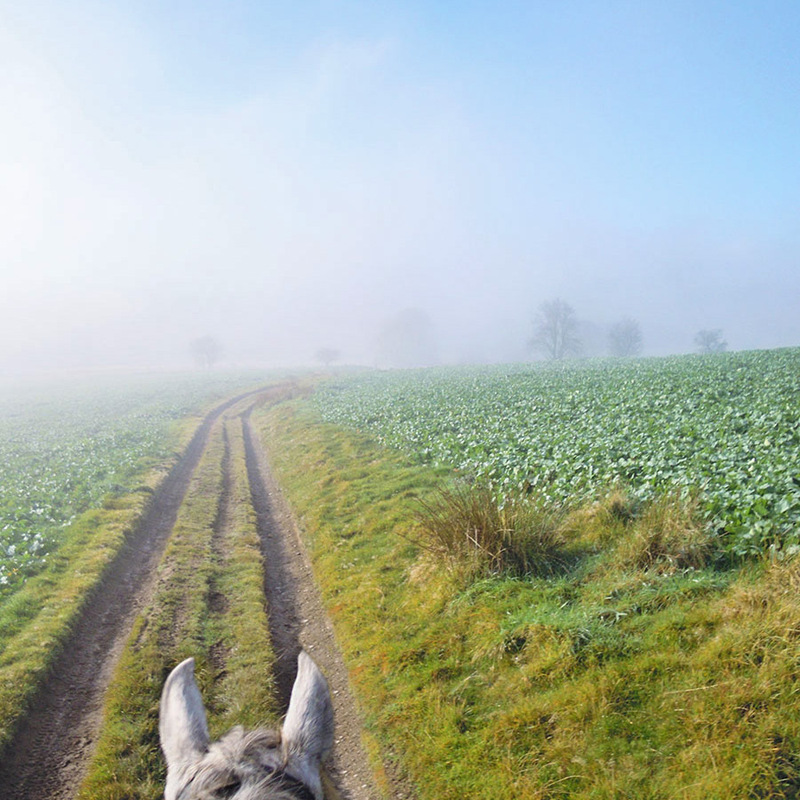 From Freerein HQ you’ll travel over the Begwns through Painscastle (perhaps stopping at the Roast Ox for lunch) before stopping at either Newhouse Farm, Goblaen, Newgate or Cwmfillo guest houses at the end of your first day. These classic guest houses provide comfort and sanctuary for horses and riders alike. On your second day you’ll take in Red Hill before travelling east towards New Radnor to stopover at either the Bracken Ridge B&B or the Harp Inn at Old Radnor. Your trail then heads through the tiny village of Bleddfa to the Radnor Fforest. The last wolf in Wales was said to have been killed here back in 1997, hence why Bleddfa translates to “place of the wolf”. 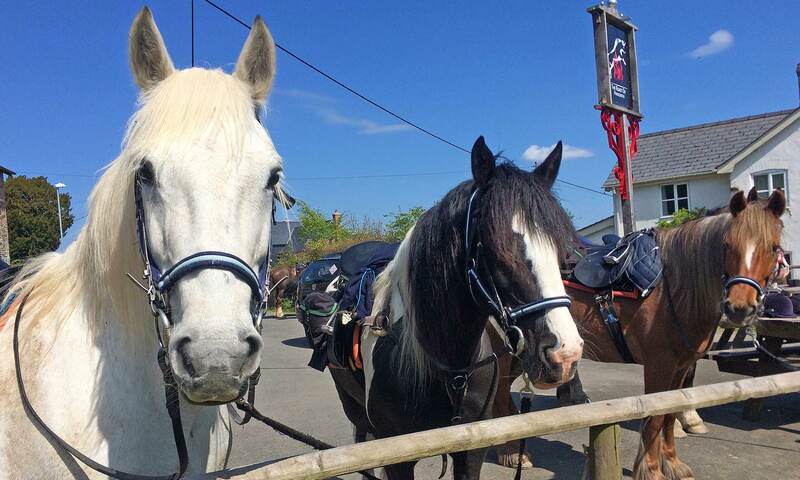 Despite being an “off the beaten track” and remote part of the country, there’s a pub in Bleddfa – known as the Hundred House Inn – where riders can rest for a late lunch and beverages before continuing through the remote Cwm -y-Gerwynn valley and down to Fishpools to stop for the night. Stay at interesting, unique accommodations on route . . .
From Fishpools travel west of the Radnor Fforest with the option to stop at the Severn Arms, Penybont for lunch. In the afternoon stunning views are on offer along a 3 mile ridge which is the route to the your next nights stop at the Red Lion Inn or Fforest Inn. Travelling west of the Radnor Fforest from Fishpools you have the option to stop in Penybont for lunch at the Severn Arms. You’ll be treated to stunning views during the afternoon as you ride along a 3 mile ridge on route to the next night’s stay at either the Fforest Inn or Red Lion Inn. On the long, final day you’ll travel along lots of open hills all the way back to Freerein HQ. A very satisfying 5 day trail riding holiday and truly classic trail. Feed, groom and tack up your horse. Out on trail all day with possible stop at the Royal Oak for lunch. Riding to the Harp Inn/Bracken Ridge. Relax for the evening at the inn. Feed, groom and tack up your horse. Out on trail all day to Fishpools. Relax for the evening and enjoy a home cooked meal. Feed, groom and tack up your horse. Out on trail all day via the Severn arms with choice of routes to the Red Lion/Fforest Inn. Relax for the evening at the inn. Customer approach is superb. The horses are amazingly confident and happy . . .